A very cold morning that was too choppy for the yak out in the bay so Alan headed down to his local Cherry Lake in a short session for Carp. Alan landed 3 carp all just under 60cm. 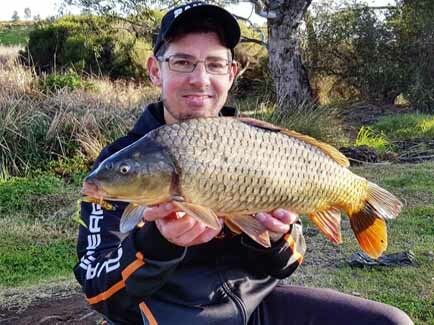 The best catch though was sight catsing a carp that surfaced then flicking a Savage Gear pro grub and working it very slowly past it and bang. Always a thrill catching them with light spinning gear. All in all a fun morning.